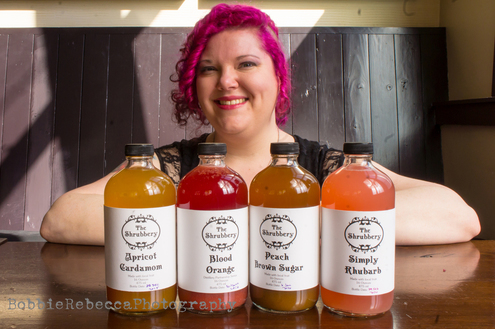 "The Shrubbery is, at its heart, about making and sharing delicious drinks with people. Starting with locally sourced fruit, each batch is made by hand to capture the flavors of the season. High quality wine vinegar adds acidity and preserves the flavor naturally, while cane sugar adds sweetness. Whether you prefer a cocktail or a non-alcoholic mocktail, I know that you'll love the bright flavors our shrubs bring to your glass." Peddler Brewing Company is a microbrewery with a tasting room and large beer garden located in the Ballard neighborhood of Seattle, WA. "At Peddler, we strive to be a gathering place for beer lovers and support bicycling as an awesome way to get around our beautiful city." Owners Haley and Dave Keller spend their time making and selling beer, advocating for cycling, and riding bikes, so in a word, they’re Peddlers. "Once upon time, there was a small, ambitious delicatessen on Mercer Island. 'Mavens' made all food from scratch with love. Traditional Jewish foods from Eastern Europe were updated with fresh, local ingredients from the Pacific Northwest. The deli may no longer be there, but its spirit and traditions live on in our craft pickles and preserves. Products are hand-produced with the original 'tradition, updated' recipes. We hope they bring you a little piece of the joy the Stopsky’s family came to cherish."